All models can be customized for specific application to suit customer need. 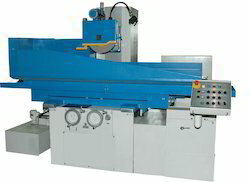 Optional - All models are available with CNC controls for automatic grinding cycle including wheel dressing and compensation. Dressing System is designed to suit individual application. Our range of Surface Grinders is manufactured from quality-tested raw material. Known for its quality, durability, corrosion resistance and others, these high precision horizontal surface grinders finds applications in various automobile, electronic, electrical industries to name a few. We also meet customized requirement for our clients benefit. »: Single piece robust construction with long guided sleeve for better rigidity of tailstock. »: Bed made of high tensile strength cast iron, heavily ribbed for better vibration damping and shock absorption. Capitalizing the skills of our professionals, we are offering a quality approved array of Precision Drill Grinder. 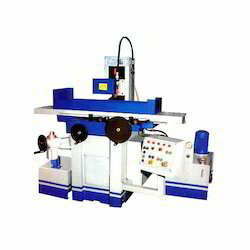 The Precision Drill Grinder we offer is widely demanded for its wide use. Offered products are made accordingly as per the requirements of the clients. We are offering High Precision Surface Grinding Machine to our clients. Job Grinding Size: 6" x 18"
Table Travels: 6.75" x 19"
Electric motor recommended: 0.75 KW / 1 H.P.